I really picked up the titles in order of interested and was able to touch the first few pretty quickly so the reviews are in that order as opposed to some kind of chronological one. As much as I’ve been interested in Ant-Man solely because of Adam WarRock’s Hank Pym rap I’ve never read a really good season to give me a reason as far as an origin. The Ant-Man and Wasp series was excellent, in Avengers Academy he was great and I loved him in Thor: The Mighty Avenger despite him only getting a single issue. So getting an origin that made him interesting, especially with the movie coming out soon, I wanted something good. And as far as the writing goes, Tom DeFalco goes, the graphic novel is excellent but Horacio Domingues brings very little character to the story. With X-Men, McKelvie’s series did an excellent job capturing the very “human” mutants who were emotional – it felt like a photo album almost. With Doctor Strange there was beautiful magic in Emma Rios’ artwork just by looking at it. And here, its just very standard looking work. There are no challenges, this is very utilitarian work. The series reintroduces Ant-Man without Janet in his oft forgotten origin choosing to focus on his grief over his dead scientist wife, his relationship with his emotionally abusive father and eventually Bill Foster as he fights against Egghead while trying to secure his wive’s legacy while dealing with paranoia and depression. And then giant bugs. And there are really great scenes that never really work – it reminds me of a Humberto Ramos knockoff at times – not fully anything and lacking a lot of creativity to the framing. It hurts the relationships that the title tries to build and the story and the sense of threat. Despite the artistic faults, DeFalco does a solid job working to build a solid story and while it isn’t the most entertaining story as an origin it works well enough. On the other hand, you’ve got Fred Van Lente, who has definitely written Hulk before, and Tom Fowler is just an excellent artist. He has a very energetic and exaggerated style, an excellent sense of space and layouts and the book feels like a true collaboration mixing action, humor and emotion. Van Lente does a great job building a mystery, building the world and building suspense. We start with Banner waking up without memories of the past night as rumors of the Hulk show up in the base. There are gang wars with AIM and the Gargoyle. A new character is creating a weird romantic entanglement with Bruce, Monica Rapaccini, Lieutenant Betsy Ross (in the air force!) 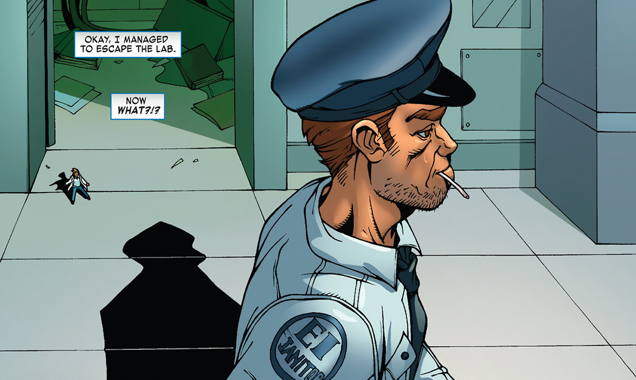 and new character Derek Halperin, US Air Force special agent with Thunderbolt Ross floating around taking shots. And they bring back Hulk to the old school origin where he changes at night, where the two fight each other, where Hulk and Banner at fighting each other. It all just really works. 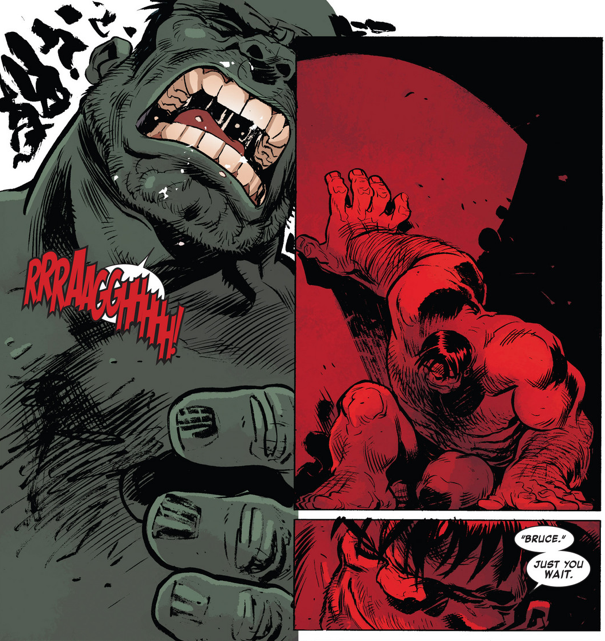 Hulk Season One is easily the best of the Season One books I’ve read so far. The book works excellently, it introduces old and new characters creatively and the title just wins all over. Check this out to get into the Hulk.